For the wonderful Québécoise musician Rachel Therrien, stepping out of her comfort zone of her Jazz-inspired quintet, Afro-Colombian music must have been a rather beckoning challenge. But like everything the trumpeter is known to do, she immersed herself in it body and soul. 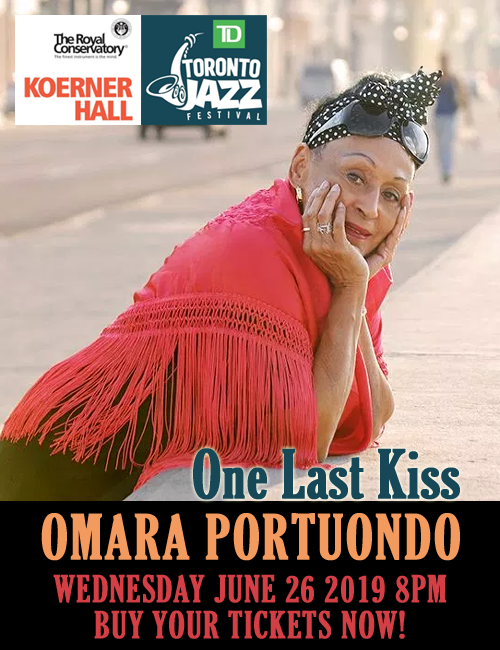 The result is a vivid expression of herself in an undeniably Afro-Colombian persona, complete with a very scorching tone, viscous timbre harvested in a palette of colours that come to life in the greens and rusts of Colombian Pilón, Champeta, Puya and the myriad of other rhythms that flavours the musical topography of that magnificent country. However, Therrien’s predilection for the Jazz idiom is never very far away. As a result of this a truly imaginative osmotic process takes place in Pensamiento where, with a group of viscerally exciting Peruvian musicians Proyecto Colombia becomes a jazzy excursion as much as it does a rustic Colombian adventure. The virtuoso trumpet playing by Rachel Therrien throughout is sublime and operates interpretatively on different healthy, authentic planes. At every turn she plays with forceful confidence matching the loud and primordial voices of the Colombian drummers, which number five; sometimes six in all. The intensity is real, the sound gorgeous and the rhythms that ensue, infectious. The Colombian soloists are exciting and vibrant as well and saxophonist Jacobo Velez, for instance, on “Ravia” matches the fire of Rachel Therrien spark-to-flame. The percussionists serve as puckish players egging the trumpeter and the saxophonist on until the music reaches a feverish pitch towards the middle of drummer Ramon Berrocal’s brief solo, ending in an almighty explosion at the end. On “Flamenquillo”, earlier, Rachel Therrien throws in a devastating solo adorned by fabulous riffs, flaunting her ability to make a series of death-defying high-wire escapades from end to end. The instrumental “La Guagua” features the tres, guitar and vibrantly expressive marimbas. The three “Mapalé“ dance pieces build in intensity and momentum to such an extent that you most certainly become delirious towards the end of number 3. “Pensamiento” is the ultimate show-stopper of the album, of course and this is not only because of its sultry vocals and the superlative artistry of the two marimba players: Ferney “La Wey” Segura and Juan Carlos Arrechea Mina, but also for the lyrical and deeply profound performance by Rachel Therrien. She puts a whole, exquisite system to work on her embouchure to play the intricate melody with consummate sensitivity and flair, using her sonorous tone and a discerning palette of vibrato to create something vibrantly expressive, to bring to close a song from a repertoire that will stick in the mind for a long time to come. Track List: Mapalé 1; A Ver; Red Leaves; Por Que Me Pegas? ; Mapalé 2: Prende La Vela; Flamenquillo; To John; Ravia; La Guagua; Mapalé 3; Pensamiento. 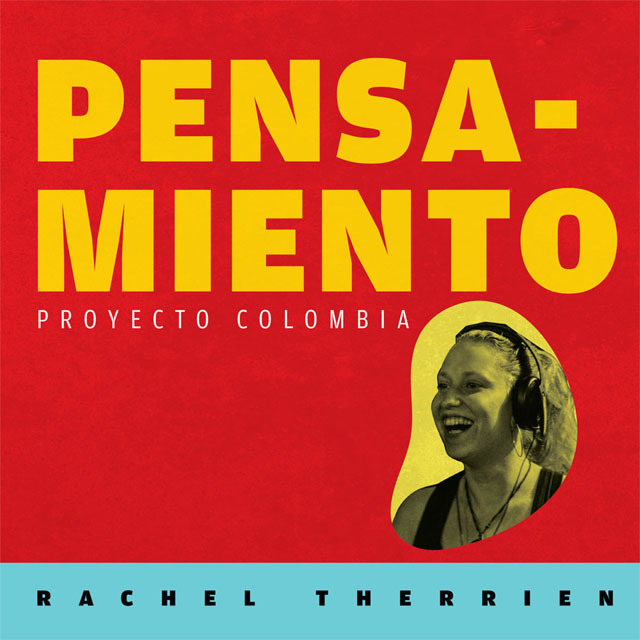 Personnel: Rachel Therrien: trumpet, composer, arranger, producer; Jacobo Velez: saxophone, voice; Carlos Peralta: guitar, voice; Holman Alvarez: piano, voice; Javier Pinto: bass, voice; Ramon Berrocal: drums, voice; Ferney “La Wey” Segura: percussion, marimba, voice, (vocal feature written on 3 & 11); Juan Carlos Arrechea Mina: percussion, marimba, voice; Humberto Barrios Madiedo: percussion; John Edward Arrechea Mina: percussion; Juan Carlos Puello “Chongo” : percussion; Santiago Jimenez: tres, voice; Mauro Castillo: trombone.